We're coming up on the end of our journey to The Fast Draft. I know you feel like spending a month or better writing your book is the end of your hard work. Sorry, homegirl. It doesn't work that way. After putting your all into the writing phase there comes the final stage of editing. This is where your work really comes to life. 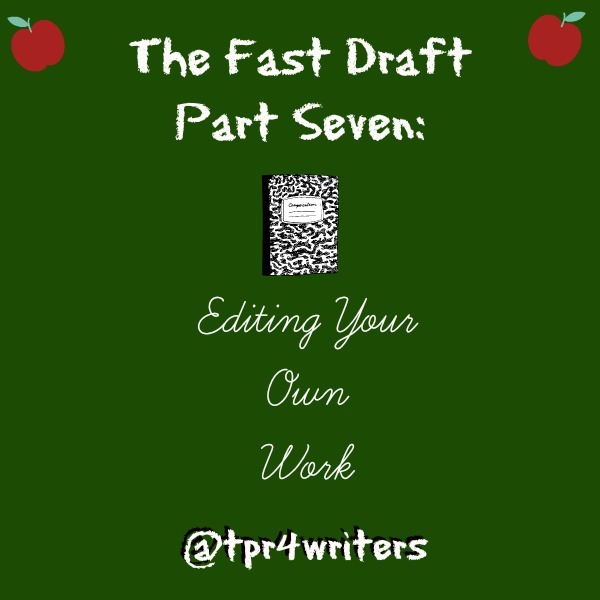 The first draft that you came up with may be some of your best work but without editing it's trash. You have to polish your story so that it turns into something that readers can actually enjoy. Take some time off and come back to your project with fresh eyes. A week or two should do you good. When you return to your project be ready to do at least four rounds of editing on your work to get it right for publication. 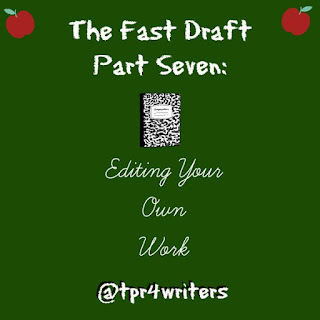 First Edit: Your first priority in editing will be consistency in storyline, timing, characters, locations, etc. The details matter! Readers will notice if you spelled a character's name as Kisha in the first few chapters but suddenly switch it to Keisha. If you describe a scene that happens in the middle of summer, you can't skip to a winter scene that takes place the next day. Go back to your notes to help with this if you need to. Develop your characters so that they are the stars of your book. Make sure to put in anything important that you feel readers should know about your characters. Second Edit: Listen to your story via a text to speech app or website. Fill in any gaps, fix dialogue that's struggling, and pay attention to tone and flow. Is it boring to listen to? If so, it's boring to read. Take the time to fix that. Also, I find that this is the stage where I find missing or repeating words and other mistakes I didn't catch with the naked eye. Third Edit: This is where you go through and fix any spelling and grammar errors. Final Edit: Here is where we go old school. Print out your book and read through it with and pen and/or highlighter to find any final mistakes you missed. You can take it to a Staples, etc. to have your story printed and bound for a reasonable price. Bonus: Get some test readers who enjoy the genre of book you wrote. Once they read your book have them give their honest feedback on the pros and cons they found. If you feel the need to do one more round of editing after hearing from your test readers go right ahead. And there you have it! 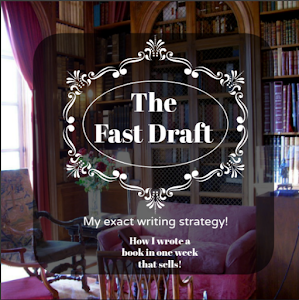 I've walked you through the entire process of writing a book in a way that's fast and easy. I'm thinking about creating some worksheets or other materials to go along with this series. If you have any suggestions on some resources that could make The Fast Draft better CLICK HERE and let me know.